The protocol for how to start HGH therapy is one that doctors who are practitioners of hormone replacement treatment will follow. Adults dealing with growth hormone deficiency, GHD, must have both lab reported low GH levels as well as symptoms of GHD. HGH therapy has been a controversial topic for some time. Yes, it is widely used by pediatric endocrinologists to help children with short stature reach their adult height. HGH is also a useful tool to treat patients with HIV-AIDS wasting symptoms. Why would HGH therapy be necessary for seemingly healthy adults? Is it healthy to get frequent colds, gain weight, lose muscle tone, or shrink in height? Does your brain feel healthy is you have frequent memory lapses, depression, poor focus, or cannot perform simple cognitive tasks? Do you look healthy with all those wrinkles, sagging skin, cellulite, bags under your eyes, and hair loss? HGH therapy not only deals with those issues, but it also helps low libido, sensitivity to temperature changes, anxiety, hot flashes, erectile dysfunction, insomnia, and much more. HGH therapy requirements – find out how to know if you might even need HGH therapy, and what the doctor will require. Why the right doctor matters – learn what type of doctor you need to contact, and why this is important. Steps to start HGH therapy – how to begin the process and receive human growth hormone treatment. What Are the Requirements to Start HGH Therapy? We previously mentioned that both lab results and symptoms are HGH therapy requirements. Every person will experience a decline in growth hormone production as they move through their thirties and beyond. GH is not the only hormone to decline, and, the body is designed to change as we age. The problem begins when the decrease in hormone production causes a deficiency that leads to physiological symptoms. The first step in how to start HGH therapy is to find out if you meet the requirements. You can learn more about the symptoms of HGH deficiency be clicking this link. An absence of symptoms means that your body is adjusting well to the decline in GH production. If you do have at least a few of the symptoms associated with low growth hormone levels, the next step is blood analysis. You will visit a lab early in the morning to have a sample of blood collected while you are still fasting from the night before. A physical examination is another requirement of HGH therapy. The reason for this is to eliminate other potential causes of your symptoms. Information provided in the examination report will be useful to the hormone specialist when calculating your HGH dosage. You must also be over the age of thirty, as your body will continue to provide enough growth hormone before that time. Expect to provide detailed information about any current and previous medical issues, as well as medications, supplements, and treatments. A comprehensive questionnaire will be provided for you to answer. Completion of these requirements makes it possible for the doctor to diagnose and treat adult growth hormone deficiency. You may think it possible to start HGH therapy by calling your personal doctor. That is not the case. 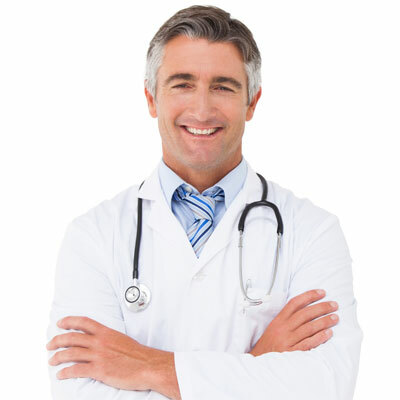 You will need to find a specialist in the medical field of hormone replacement therapy. Why should you not ask your family physician for this treatment? Hormone replacement is a medical specialty in much the same way as podiatry, obstetrics, surgery, and other such fields. You want to know that a doctor with extensive knowledge and experience is balancing your delicately interwoven hormone levels. Other physicians do not have the training to recognize signs of hormone deficiency. If you are looking to learn how to start HGH therapy, you do not want to undergo the time or expense of unnecessary diagnostic testing. The hormone specialist will know immediately if your symptoms are potential indicators of hormonal imbalance and run the appropriate blood tests to determine if that is the case. By reaching out to the right specialist, you will save a significant amount of time and money. Even better, your treatment can commence sooner rather than later. What Is the Diagnostic Process to Start HGH Therapy? The steps to start HGH therapy begin with you contacting a hormone replacement therapy specialist. You can do that right now by completing the form above or calling our direct number on this page. In either case, the result will be a connection between you and one of our experienced and knowledgeable medical advisors to discuss your situation. During this free telephone consultation, you will go over your symptoms, any significant health concerns, and ask any questions you have. If the hormone doctor diagnoses growth hormone deficiency, a prescription will be provided in the exact dosage of HGH that your body requires. You can then start HGH treatment. For answers to additional questions about how to start HGH therapy, or for your free consultation, please contact our hormone clinic today.